Thanks for joining us at our third workshop on Northern Blvd! Thanks to community members, residents, business owners, and elected officials who joined us at PS 166 in Astoria to share your ideas for a safer Northern Boulevard in Astoria and Long Island City. Thanks for joining us at our second workshop on Northern Blvd! Thanks to community members, residents, business owners, and elected officials who joined us at PS 151 Mary D Carter School on Monday October 22 to share your ideas for a safer Northern Boulevard in Astoria and Woodside. Thanks for joining us at our first workshop on Northern Blvd! Thanks to community members, residents, business owners, and elected officials who joined us at the Louis Armstrong Middle School on Monday October 15 to share your ideas for a safer Northern Boulevard in Jackson Heights and East Elmhurst. 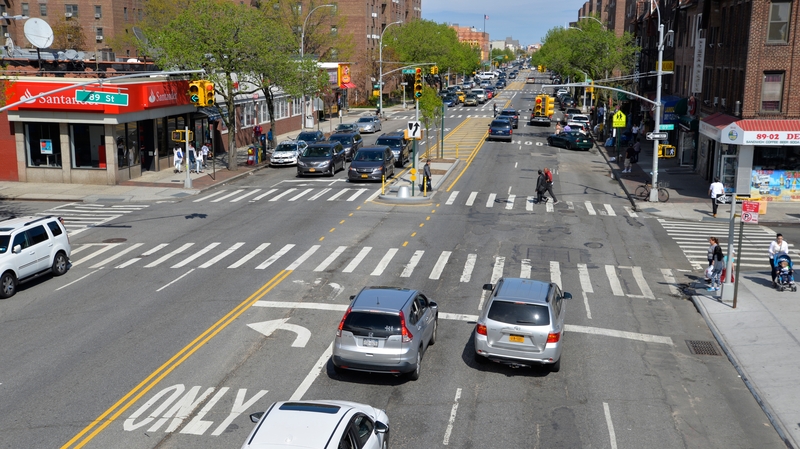 On Wednesday October 10th, NYC DOT Commissioner Polly Trottenberg and NYPD Chief Thomas Chan announced expanded enforcement and upcoming outreach on Northern Blvd. Read below for more details.